Glitz, glamour and a gazillion great things to do — that’s what the Gold Coast brings to the table. From world-class theme parks and even better beaches to natural delights and towering skyscrapers, here are the 10 things every visitor must see and do on the Gold Coast. 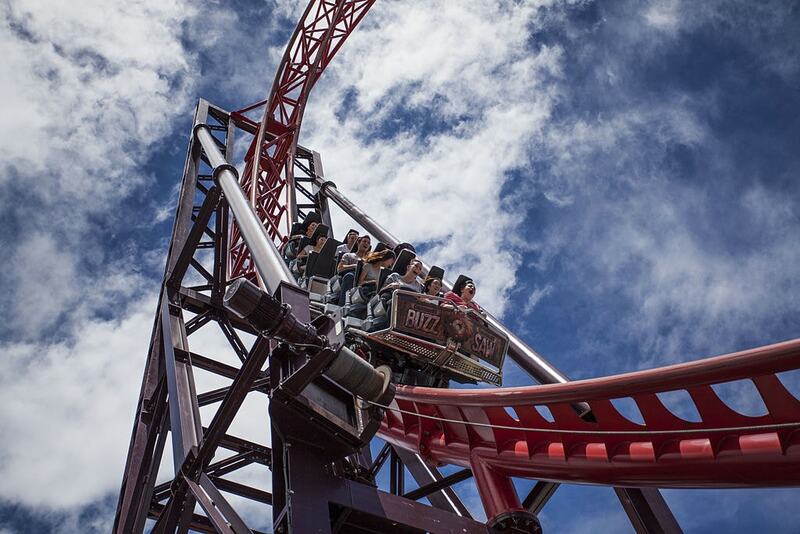 The Gold Coast is renowned for its theme parks, and Dreamworld is the biggest of the lot, home to 40 attractions — including five massive roller coasters, among the best in Australia — as well as the DreamWorks Experience, Tiger Island, ABC Kids World and Corroboree, which provides an insight into Indigenous Australian culture and native animals. Amusement park aficionados will also love the water-themed Sea World and film-focused Warner Bros. Movie World. Currumbin, Main Beach, Kirra, Broadbeach, Palm Beach, Coolangatta… having to pick the best beach on the Goldie is a bit like selecting the Beatles’ top track or Tom Hanks’ finest film. But surfers won’t hesitate naming Snapper Rocks their favourite strip of sand because of its clean waves, consistent swell and the man-made ‘Superbank’, a sand bank that allows boardriders to cruise all the way to Coolangatta. The Gold Coast’s not all about bling, surf and theme parks — the region’s expansive hinterland provides some lush green rainforest to go with all that golden sand. And the UNESCO World Heritage listed Springbrook National Park as one of its must-visit highlights, home to a dense forest and rich diversity of bird life, perched atop an ancient volcano. 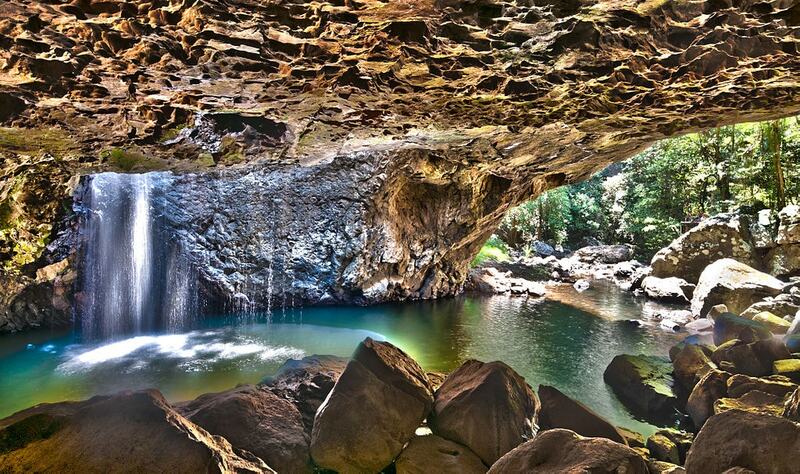 Make sure you don’t miss the impossibly Instagrammable Natural Bridge cave and waterfall. The skyscrapers spanning the Surfers Paradise beach form one of Australia’s most recognisable skylines, and this observation deck offers an unrivalled perspective of it. Located on level 77 of the Q1 Building, SkyPoint contains a bistro and bar for a meal with a seriously good view, as well as the highest external building climb anywhere in the country, ascending to a platform that towers 270m above sea level. Australia’s premier water park attracts more than one million visitors a year, making it the biggest in the country and one of the biggest on Earth. 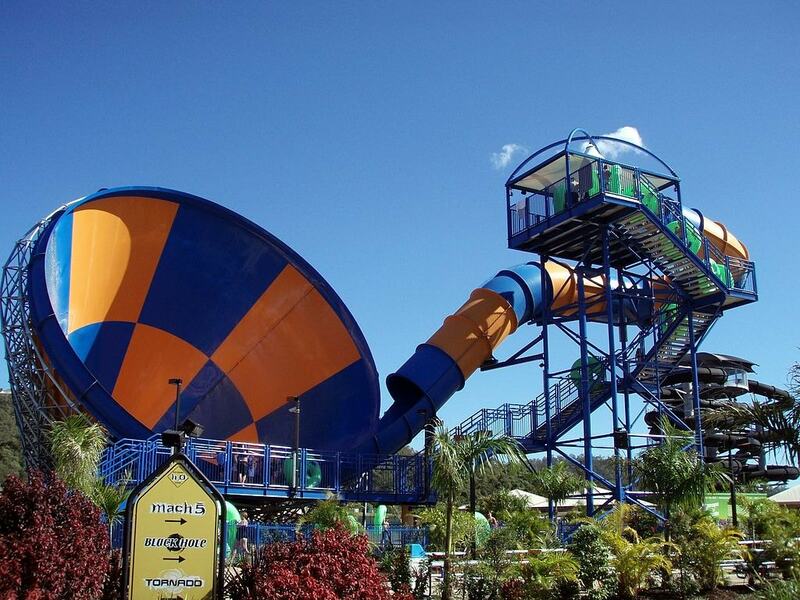 The Giant Wave Pool and Calypso Beach are designed for families, and there’s even more high-octane rides for older kids — names like Black Hole, Kamikaze, Mach 5 and Tornado hint at just how hair-raising these adrenaline-pumping rides are. The panoramic vistas from the top of this lofty plateau are a good enough reason to visit Tamborine Mountain — and that’s before you’re introduced to all the art galleries, country markets, gourmet restaurants, award-winning wineries, romantic B&Bs, rainforest walking tracks and the man-made Glow Worm Caves. The Gold Coast Suns’ AFL outfits aren’t world-beaters on the field, but their boutique stadium is one of the best places to watch footy anywhere in Australia. Away fans have flocked to the Goldie for some winter sunshine and an easy victory on the road since the Suns entered the comp in 2011 — Steven Seagal has come closer to winning an Academy Award than the Suns have ever got to claiming a premiership flag in their seven lowly seasons to date. This pedestrian mall is the beating heart of Surfers Paradise, loaded with all the bars, restaurants and nightclubs that the Glitter Strip is famous for. Snap a selfie at the ‘Surfers Paradise’ sign on the sand, spot one of the Goldie’s iconic metre maids or shuffle down the mall past Surfers’ shops, eateries and legendary watering holes. 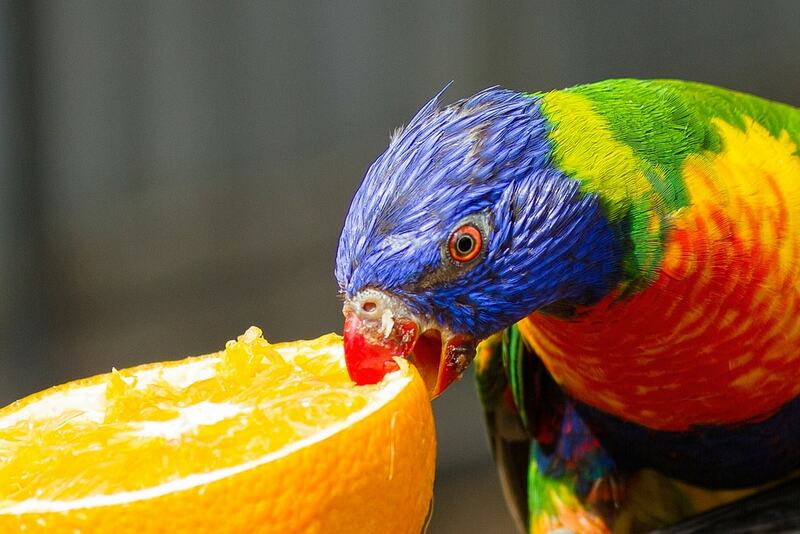 Nestled in the Gold Coast hinterland, the sanctuary is known around the world for its huge numbers of wild rainbow lorikeets that fly in for a feed. But that’s not the only native Aussie animal visitors are able to get up close and personal with — kangaroos, koalas, crocodiles, dingoes, wombats, echidnas, emus, quokkas and cassowaries are only a handful of the park’s adorable attractions. Wedged between Coolangatta to the south and Surfers to the north, Burleigh offers protected waters for a dip as well as waves for a surf around the headland. Explore the Burleigh Head National Park, grab a souvenir from the Burleigh Art and Craft Markets or pack a picnic to enjoy under the huge pine trees that shade the sand.